Have you heard of Lush? If you haven't, it's truly one of my most favorite stores to stop and pick up personal care products like lotion, body wash and those fun bath bombs. 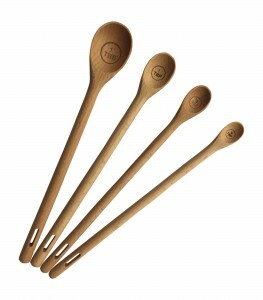 They are handmade and contain organic items. The one thing I don't love is the price. Their products are rather expensive so it's truly a splurge. 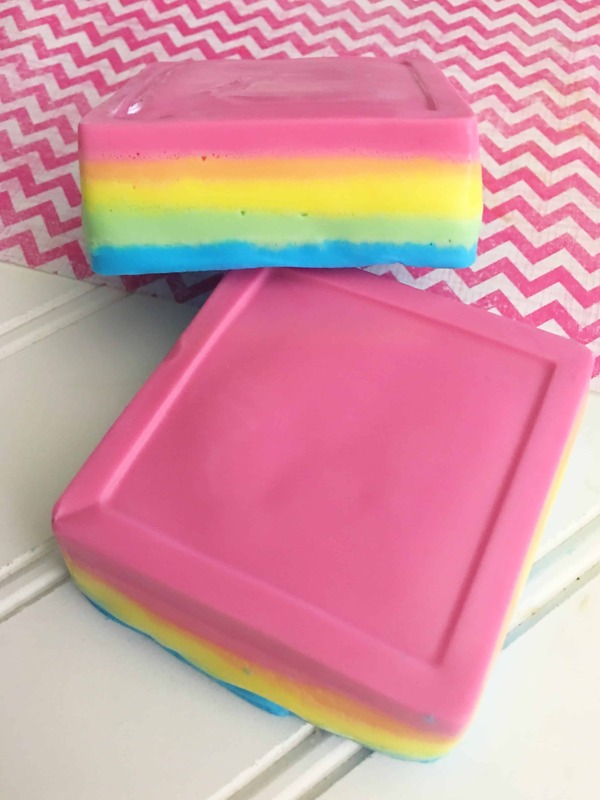 Well, if you want to have Lush-type soaps but made at home, this rainbow soap recipe is for you! These would make great gifts throughout the year too! Cut off about 20 ice cubes sized soap pieces from your Shea butter block. Place 4 cubes into your measuring cup and microwave for 30 seconds and mix with 5 drops of your red colorant. Divide your soap evenly between your two squares and lightly spray with rubbing alcohol to prevent air bubbles. Clean out your Pyrex cup and microwave another 4 cubes for 30 seconds and add in a 5 drops of yellow and 1 drop of red and mix. Divide your soap between your two square molds and spray with rubbing alcohol. Repeat steps 2-4 for each color (for yellow add 5 drops, for green, mix together 4 drops of yellow and 1 drop of green, for blue add 5 drops). Let me know if you try this one. I'd love to see it and share it on the utensi Facebook page!